Seldom has any artist captured that ineffable 'high, lonesome sound' quite as beautifully as Ry Cooder did on his landmark soundtrack to Wim Wenders’ film Paris, Texas. Not quite blues, not quite bluegrass, not quite ambient, Cooder’s haunting, evocative score mirrors the existential journey of Harry Dean Stanton’s Travis Henderson as he wanders through the empty Texas prairie landscape in pursuit of his irretrievable past. With the able help of multi-instrumentalists David Lindley and Jim Dickinson, Cooder crafts a soundscape (much of it based on Blind Willie Johnson’s 'Dark Was the Night, Cold Was the Ground' - that is profoundly sad yet leavened with bits of humor and whimsy. Clear vinyl edition - limited to 480 copies. 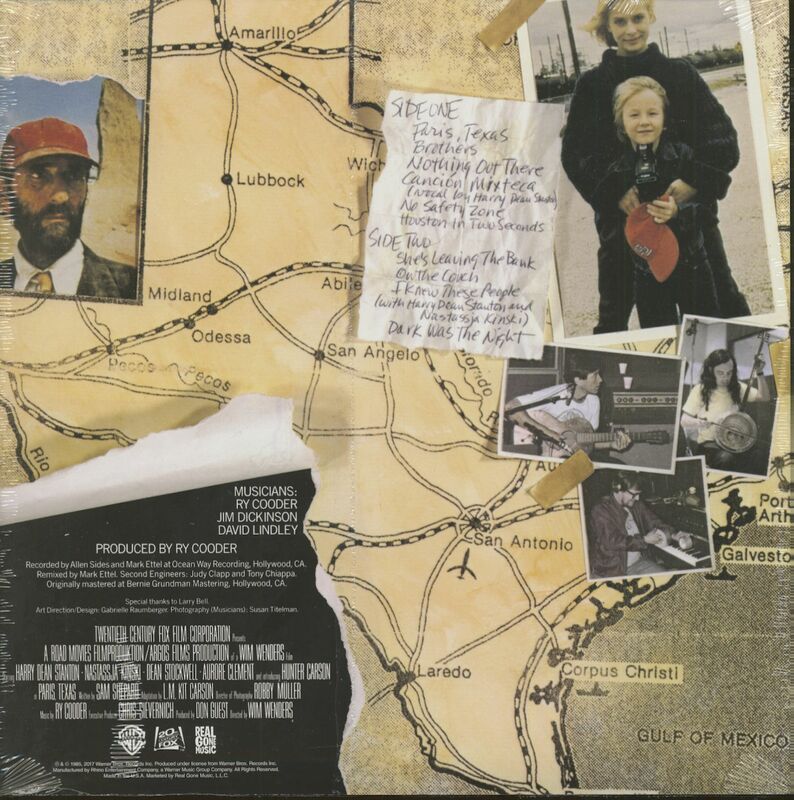 Customer evaluation for "Paris, Texas - Soundtrack (LP, 180g Vinyl, Ltd.)"